Aqua (Water), Ethylhexyl Stearate, Butylene Glycol, Hydroxyethyl Acrylate/sodium Acryloyldimethyl Taurate Copolymer, Pentylene Glycol, Phenoxyethanol, Squalane, Polysorbate 60, Disodium Edta, Tetrasodium Edta, Sorbitan Isostearate. [+/-: Ci 12085 (Red 36, Red 36 Lake), Ci 15850 (Red 6, Red 7, Red 7 Lake), Ci 15985 (Yellow 6, Yellow 6 Lake), Ci 19140 (Yellow 5, Yellow 5 Lake), Ci 42090 (Blue 1 Lake), Ci 45380 (Red 21, Red 21 Lake, Red 22 Lake), Ci 45410 (Red 27, Red 27 Lake, Red 28 Lake), Ci 73360 (Red 30, Red 30 Lake), Ci 77891 (Titanium Dioxide), Ci 77163 (Bismuth Oxychloride), Ci 77491, Ci 77492, Ci 77499 (Iron Oxides), Ci 77742 (Manganese Violet)]. It's the flirtiest flush you can get from a bottle! This candy-orchid tint treats cheeks & lips to a “pop” of dreamy sweetness...and its smudge-proof, smooch-proof color lasts from A.M. to P.M. Talk about stain power! Understated, and so pretty. 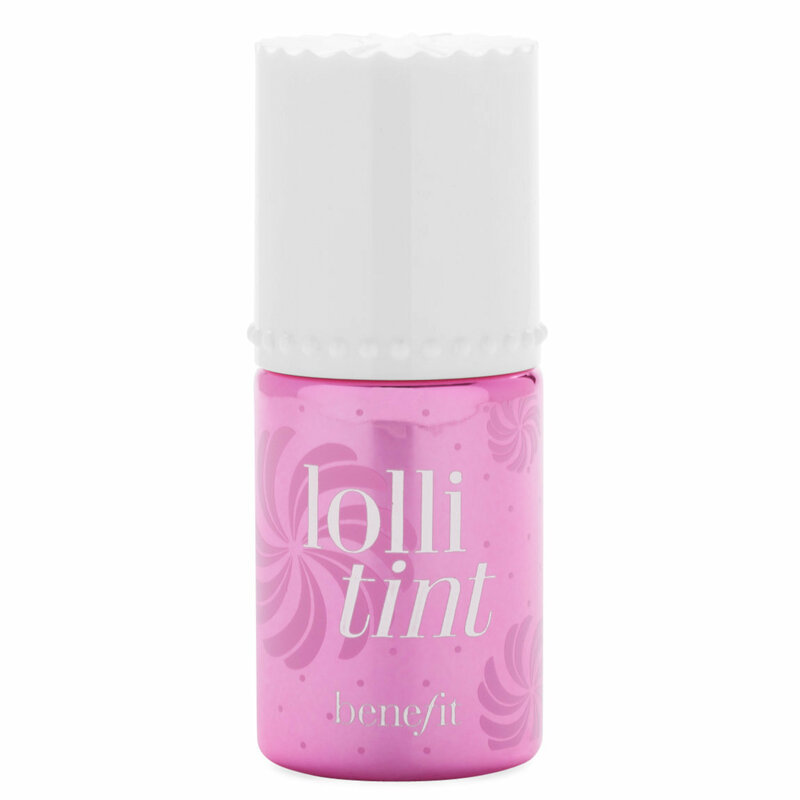 If you’ve been looking for a cool-toned purple-pink, this might become your new go-to -- it's as easy to put on and easy to wear as any of Benefit's tints.